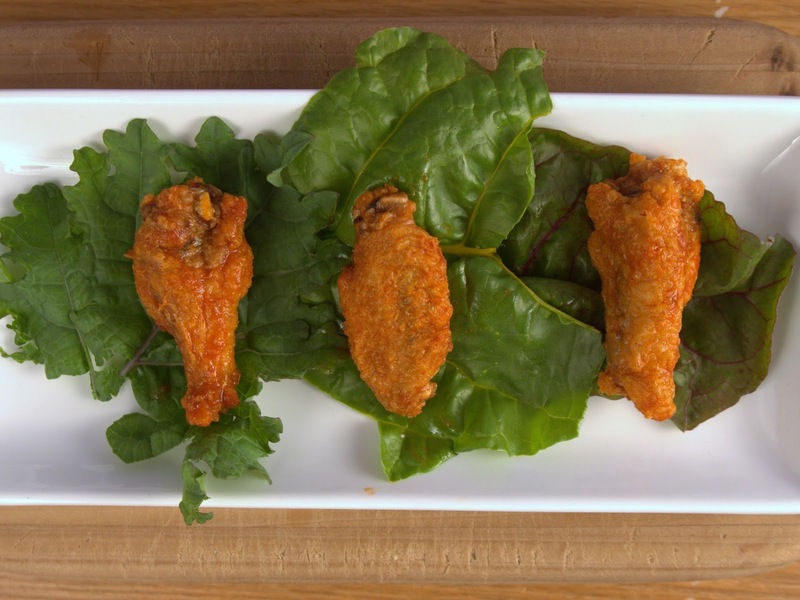 Chicken wings can be an inexpensive food option. In my house, I buy whole chickens and break down the carcasses into different sections. I will not show you how I break down a chicken. I will let Chef John Placko demonstrate how to break down a chicken carcass. (Note: I personally use a small meat cleaver, but use whatever sharp knife you are comfortable with) After breaking down several chicken carcasses I always end up with a bag of wing pieces in the freezer. Utilizing this recipe is a perfect opportunity to clear out the freezer and transform one of the lesser-desired pieces of the chicken into an awesome snack or appetizer. I designed this recipe to use minimal ingredients. In fact, I specifically choose Louisiana hot sauce because it only contains three ingredients: cayenne pepper, white vinegar, and salt. The second purpose of this recipe is simply to demonstrate that understanding and properly executing simple techniques can create outstanding results. This is a no frills dish that is an absolute pleasure with each bite. Let wings par-freeze 30 minutes before cooking. Remove wings from oil, and quickly dry off with a paper towel, let rest for several minutes. Turn the heat on your fryer to high, when the oil temperature is 375F, fry wings for 5 minutes. Transfer wings to a cooling rack and remove oil with a paper towel. 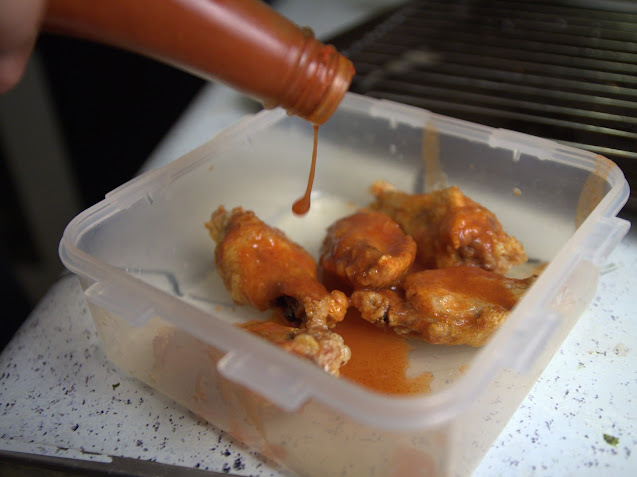 Place wings in a plastic container with a tight fitting lid, cover wings in Louisiana hot sauce and shake. Serve immediately. Antonova, I, P Mallikarjunan, and S E. Duncan. "Correlating Objective Measurements of Crispness in Breaded Fried Chicken Nuggets with Sensory Crispness." Journal of Food Science 68.4 (2003): 1308-15. Print. Suddath, Claire. 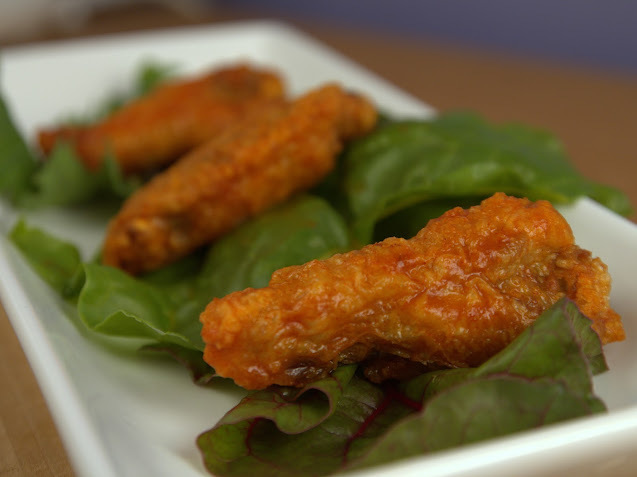 "A Brief History of Buffalo Wings." Time. Time, 3 Sept. 2003. Web. 7 July 2014.